City councils are elected every six years by those citizens of the municipality who are on the electoral roll. In Quimper the council consists of 49 members: 38 members from the majority party, and 11 members from the minority party. 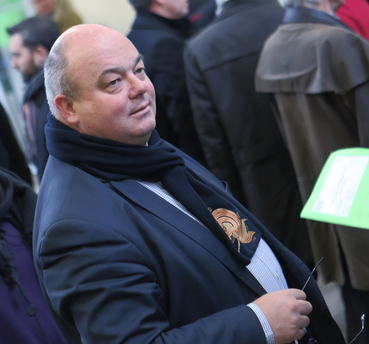 Ludovic Jolivet, head of the « Vive Quimper » campaign, was elected Mayor of Quimper on April 6th 2014. Isabelle Le Bal: 1st Deputy, responsible for general administration. André Guénégan: 2nd Deputy, responsible for human resources and external partner relationships. Georges-Philippe Fontaine: 3rd Deputy, responsible for finance and financial strategy. Guillaume Menguy: 4th Deputy, responsible for urban planning, quality of life, urban renewal and green spaces. Danielle Garrec: 5th Deputy, responsible for health and social affairs. Allain Le Roux : 7th Deputy, responsible for culture. Alain Guillou : 8th Deputy, responsible for sporting activities. Jean-Pierre Doucen: 10th Deputy, responsible for education and the Breton language. Valérie Gacogne : 11th Deputy, responsible for the new governance of public policies. Philippe Calvez : 12th Deputy, responsible for the coordination of the district town halls, local democracy, community life and the socio-cultural sector. Valérie Lecerf-Livet : 13th Deputy, responsible for the district of Penhars. Corine Nicolas : 14th Deputy, responsible for the district of Ergué-Armel. Christian Le Bihan : 15th Deputy, responsible for the district of Kerfeunteun. It meets on average ten times per year. The sessions are public. The agenda items are set by the Mayor. The deliberations are enforceable after display and distribution by the Prefecture.